Women’s Lacrosse is the newest addition to the Salem College athletics program. Consisting of 26 team members, the Lacrosse season kicked off in a game against St. Andrews University with a loss of 18-5 on Feb. 16. 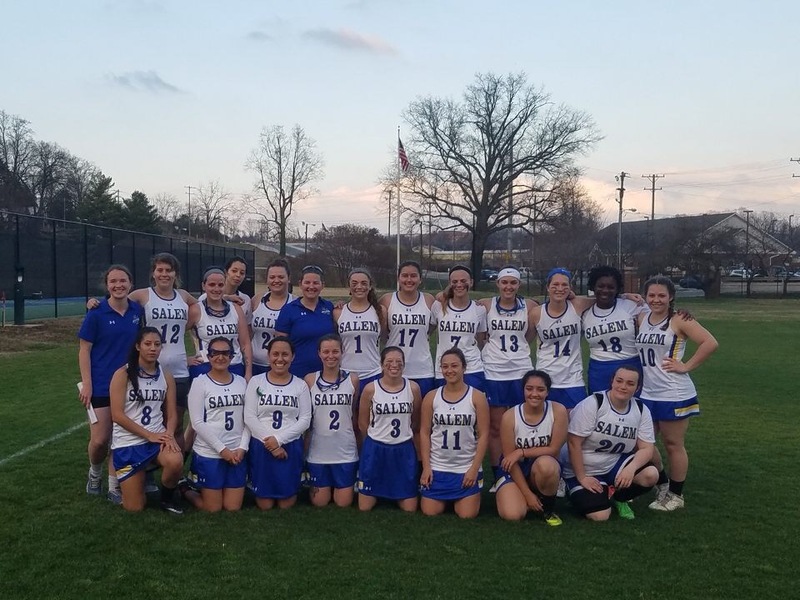 Salem Lacrosse made history on March 7 with a eight to seven victory in a close game against Sweet Briar College. Goals in the game were scored by Collette Vladimery, Cassidy Matlock, Isabella Srikhirisawan and Logan Bowling with twelve saves by goalie, Hannah Ostlund. For those unfamiliar with the game, the team must use a lacrosse stick to catch, cradle and pass a solid rubber lacrosse ball in an effort to score a goal by shooting it into the other team’s net. Each goal is worth one point and the game lasts for sixty minutes with ninety seconds on the clock to take a shot. Each team has twelve players on the field, four attackers, three midfielders, four defenders and one goalie. Salem College Lacrosse has home and away games scheduled up until April 8.